Not much Disney magic here! 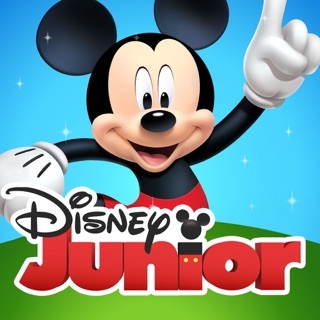 It is not often I feel driven to write a review for an App but as a huge Disney fan and having just returned from WDW I was extremely disappointed that an App that promises so much and is now a vital part of the holiday experience failed on so many levels. The problem seems to lie when running the App on the free WiFi in the park as on the hotel WiFi it faired much better. As an international visitor using park WiFi was my only affordable option, and when connected to the intermittent park WiFi the App does not update regularly and constantly crashes. The most infuriating aspect was that when you do manage to connect to the intermittent park WiFi and launch the App it then seems to automatically disconnect the WiFi claiming a ‘weak signal’ (my other apps did not do this and were able to connect to the internet perfectly fine). Having to repeatedly log on to the park WiFi and relaunch the App only for it to log you out almost instantaneously was so frustrating. If this App were to run seamlessly in the parks it would be fantastic because it has the potential to deliver everything it promises, but as it only works well when you are away from the parks it is not a great deal of use at the moment! I never write reviews but I have been so disappointed with this i app I am writing in Hope Disney listens and fixes these issues for others! We spent the whole of our Disney experience trying to get this app working with the wifi at the parks. Both failed miserably! First you try and book your fast passes which never update so if you change something on the same day it will show all your choices inc the ones you have changed which is so confusing! The app constantly crashes, logs you out or is just so slow you are staring at the screen for ages instead of enjoying your experience. The WiFi at all the Disney parks is so intermittent so you will finally get into the app then the WiFi goes so you then have to search for that again and then the app has logged you out and you have to reload for it then to crash again. This needs to work so you can see the horrendous wait times but it’s a complete fail! Universals app and WiFi on the other hand is seamless and a joy to use. Disney sort out your app and WiFi as this is a fundamental part of the experience now but this was most definitely not the magical experience you sell to everyone! !